Reading books not only gives knowledge, it also increases imaginative power, improves communication skills, focus and concentration. It motivates and builds self-esteem when readers find themselves immersed in a book and connects with the characters of the story. It helps a child become a complete being by molding their character. Nita Bajoria, member of Kutchina Foundation, a writer and a book lover always felt that inculcating the habit of reading was a very important step in building one’s character. She finds immense pleasure in reading and has found the answers to many of her questions and worries in them. But she felt that sadly, reading has decreased a lot among the younger generations. This has led to the problem of lack of attention span. She knew that if we do not give kids the proper books to read they would never know the pleasure of reading. One day she had an impending thought – what about kids and individuals who love reading but don’t have access to good books? That was when she conceived the idea of this project. Libraries would definitely give kids a taste for books and at least a few would get into the habit of reading books. In many affluent families, books that have been already read lie in a corner with no further use. 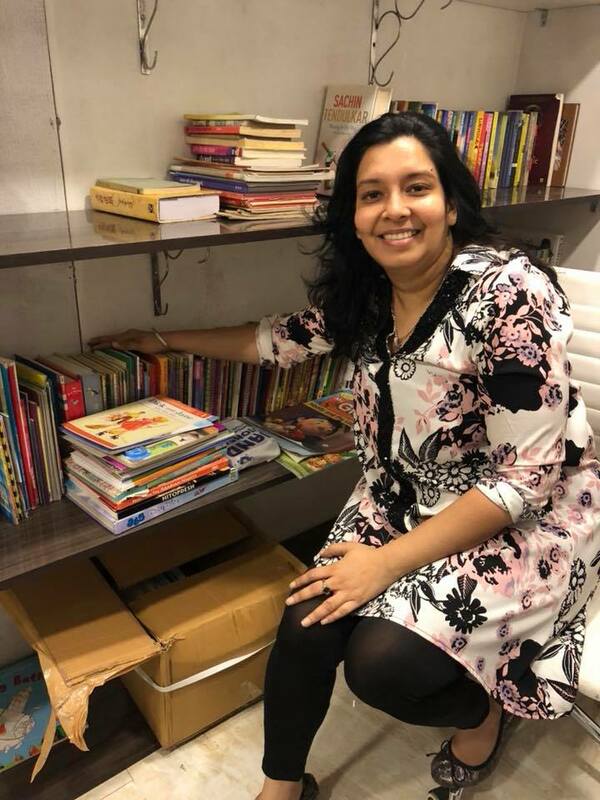 She realised that if she could channelise these books to places where they could be read again, it would help a lot of children get access to the magical world of stories and knowledge. With these two ideas in mind she initiated the project and her brainchild came into force in January this year. Through Gift a Library – they have been able to collect more than 1500 books within a short span of two and a half months. The first project is in a school near Shyambazar that didn’t have a library. The paintings and tiles work in the new space has started and they are planning to inaugurate this month itself. Many publishers have also joined hands to make this project a success. Rupa Publication, Mitra and Ghosh and Scholastic India have sent in new books and have promised their continuous support towards the cause. Mr. Raju Barman (Rupa Publication), Mrs. Indrani Roy (Mitra and Ghosh) and Mr. Satadru Mukherjee (Scholastic India) deserve special mention. For making a library they need other things as well. For the actual set up work they are getting donations from people and organisations who support the cause. Book shelves will always be gifted by Kutchina Foundation as they can get them manufactured at Kutchina Modular Kitchen Factory. 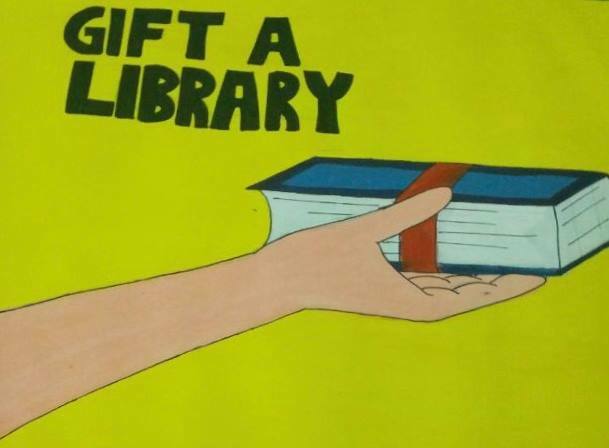 Gift a Library is primarily managed by Nita Bajoria, Vinita Chirawala, Bappaditya and Poulomi. But you too can pitch in by donating books that are lying unread in the corner of your home and help a child read a new story. Their next project is at Masti Ki Pathsala. They are also in talks with Kalyan Ashram for providing libraries to tribal students. Talks on creating a library in a tea estate in Dooars are also on the floor.